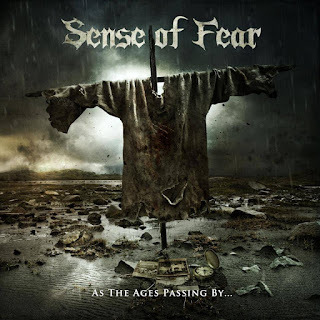 Classic heavy metal thrashers Sense Of Fear will release their debut album "As The Ages Passing By" soon enough, already releasing a track from it titled "Molten Core". 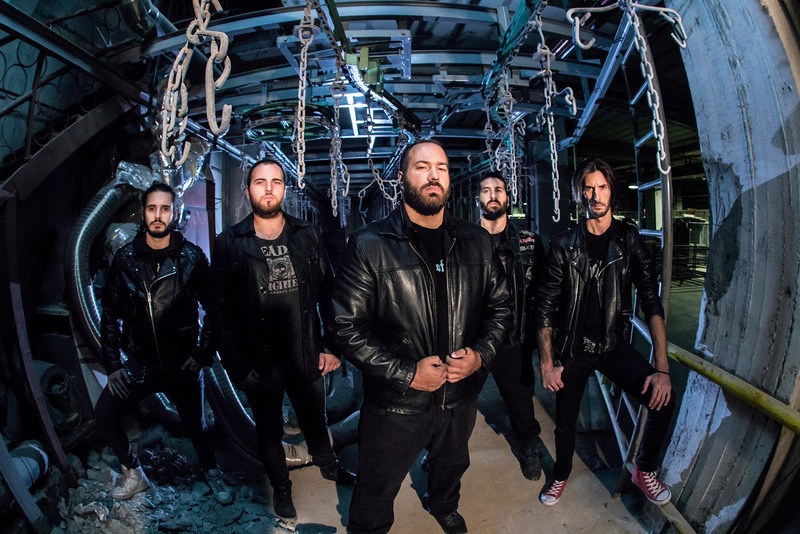 Guitarist Themis Iakovidis talks of the past, present, and future of the band, this album, and its single released thus far. 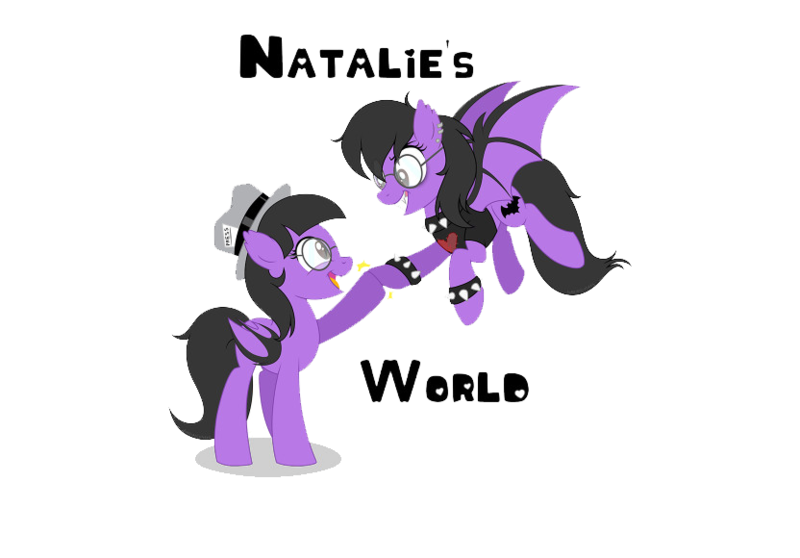 Themis: Hey there my name it Themis and I’m one of the two guitarists of the band! Thanks a lot for this interview and your hospitality! 2. What would you say are the bands biggest collective musical influences, and also individual ones that you feel can be heard in your music? Themis: Well, influences…where should I start! Let’s start from the basics… Surely Iron Maiden is the biggest influence, not necessarily that we sound like them or that we have a nwobhm type of sound but they are the reason that I (and many of us) started playing music. Furthermore I would say that other bands that we are influenced by are Iced Earth (who are influenced from Iron Maiden! Hahaha), Rotting Christ, Grave Digger, Slayer and at least another one of my personal favorites, Nevermore. 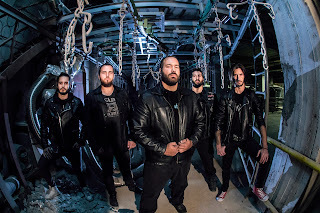 Individually, someone will find our Rotting Christ influences in songs like "Torture of Mind", Iced Earth influences in songs like "Black Hole" or the "As the ages passing by, time still runs against us". Finally in "Molten Core" (which is a song that I wrote for the album) I think it’s kind of obvious my music influence from Nevermore!!!! 3. What about your songs, what types of themes or array of topics do they tend to cover? Themis: Our lyrics in our songs come mostly from personal experiences and emotions. It is a way to express ourselves and fight our personal demons. Except our feelings and personal experiences, we are against every form of encroachment on human rights. We live in very difficult times and people have lost their care for other human beings. 4. Why did you want to go with calling the band Sense of Fear? Would you say fear is the added sixth sense instead of the five main senses of the human body? Themis: Well nice approach there, I haven’t thought about it this way, but sure it makes sense (of fear! haha). It is a name which came from personal experiences and some very deep and dark feelings. We believe that fear is a key instinct for humans to survive. Moreover, we think that it suits the atmosphere that our songs share. 5. How would you define the track "Molten Core" and why did it receive a lyrical video as opposed to just the track playing on its own or music video release? Themis: Well "Molten Core" as I mentioned earlier is a track that I fully composed myself! I would define it as a fast heavy/thrash song with some intense melodic lines in the middle of the song. Lyrics are written by our frontman Ilias and the song refers to everyone of us. We all have an inner flame that burns inside but today’s world and the way we behave to each other - or better we are "planned" to behave - melts this inner flaming core that we are born with. About the fact that we decided to make it a lyric video it’s just that we have to float with the wave of these days. We wanted one song to come out to promote our work and what’s best these days than a lyric video where people can hear your music and read the lyrics of your songs along with some cool animations going on together! We think the outcome of this lyric video is cool and the audience seems to agree with us on this one! 6. Are there any plans to release any more tracks from this album and will those be made into single's and or music videos? Themis: Yes indeed, we are going to release a second lyric video of one of our album tracks in the next days… but I’m not going to tell you the name of the song! We also have prepared a third lyric video and some streamer tracks for YouTube to be released in the near future! Moreover, these days some of our songs play exclusively in various metal stations around the globe and there fans can have a taste of what is going on with the album, which is set to be released on the 20th of April! If anyone wants to be updated with this information they can follow us on our official Facebook page: https://www.facebook.com/senseoffearband/. 7. What's your take on "As The Ages Passing By..." as a whole? Themis: Referring in my contribution in the album as I said earlier "Molten Core" is my composition for the album. All the other songs are written by John, my partner in crime! He had the main ideas for the other songs and I have just added some melodies and of course the lead parts! Well in some song cases of older songs like "Slaughter of Innocence" or "Lord of the world", I cannot really remember the process of composing because these are songs that we wrote in our early years as a band, in the late 90's! 8. Does the album's artwork depict a scarecrow or something else altogether? Themis: Yes the main "character" of our cover is the scarecrow but its blended with the whole area that surrounds it. It’s an abandoned place where nothing is left to remind humanity! Just an old scarecrow with some family photos on the ground and a clock to indicate the time that has passed - and still passes on – with no one able to do something or undo something that’s already done! So there was humanity once but not anymore! What happened through the ages that pass by to reach this situation? Everyone can consider this for a moment in their lives. 9. What's the story behind the title of "As The Ages Passing By..."? Themis: It is our perspective for the world, from the beginning of human existence. A world full of different nations that fought wars, poverty, a world full of rulers and religions, whose actions gradually pushed humanity to its extinction. We have the self-titled song of the album which is the longest one (9 minutes). It is a heavy song with two main parts, a fast-paced first one and then a mid-tempo until the end. It combines heavy and fast riffs, fast solos and great melodies. We invite our audience to a journey, a way to see that through all these ages, time has been always against us… Because we never serve our true purpose, for humanity to survive. 10. "As The Ages Passing By..." fill in the blank as to what you think should be said? Themis: I will borrow the next line from our lyrics… "So as the ages passing by… time still runs against me you and everyone who is reading this right now! We are actually enemies of ourselves. We try to survive at any cost. The problem is that this comes at a price. From the beginning of human existence, throughout our whole timeline, the only thing that we can observe is that time is always against us. Because we never make things better. We mathematically lead ourselves to our doomsday. So time is the only enemy if we consider our actions during all these years! History is written through the years with many black pages due to humans and their actions. But history is still being written by us! It’s in our hands!" 11. What plans are in the works from here on out for you guys? Themis: Right now we are focused on the promotion of our album which is going out on the 20th of April. After the release we surely want and we will do live shows and play our material in front of an audience where we hope to see some positive feedback about our work! Also summer is coming and maybe we‘ll try to play in some festivals here in Greece! Moving on, we already have the songs ready for the next album and we already rehearsing some of them with the guys! But it’s too soon to talk about a second album! We want to give this one the time it needs to be spread properly throughout the metal world! So in a few words, the plans about the near future are live shows and rehearsing new stuff to be ready for the next album! 12. Would you like to add on anything else? Themis: Well, I would like to thank you again for this interview and everyone else who is reading this right now! Just remind the metal fans out there that our album is set to be released on the 20th of April. Visit our Facebook page or YouTube channel, have a taste of our music, and if you like what we do, support us! Once again thank you! Cheers!